Some of the most simple projects I’ve done recently have been patchwork belts. They do not require a lot of fabric, or patterns and they are made in a really fast way. Here I leave you a simple tutorial for those who want to encourage you to try it. For now I have no photos of the process but when I make another belt I will upload the specific photos of the phases. These belts are made of a front part (with fabrics of different colors and designs), a back part (of a canvas or cotton ribbon) and a wadding between the two fabrics if necessary. Before starting we have to take two things into account: the width we want to make the belt (I make children 3 cm and adults 4 cm); And the length of the belt, for which is useful to measure the waist and add a little more so that it can be firmly set. Children’s belt: fabric stripes of 5 cm wide (3 cm that will make the belt + 2 cm for bending) and differents lengths, between 5 and 10 cm. The total length of the belt should be about 75-80 cm (it should be taken into account that about 1.3 cm of each piece of cloth will be lost to sew the pieces of fabric between them). Adult belt: fabric stripes 6 cm wide (4 cm that will make the belt + 2 cm to fold) and differents lengths, between 5 and 10 cm. The total length of the belt should be about 110 – 120 cm (it should be taken into account that about 1.3 cm of each piece of cloth will be lost to sew the pieces of fabric between them). 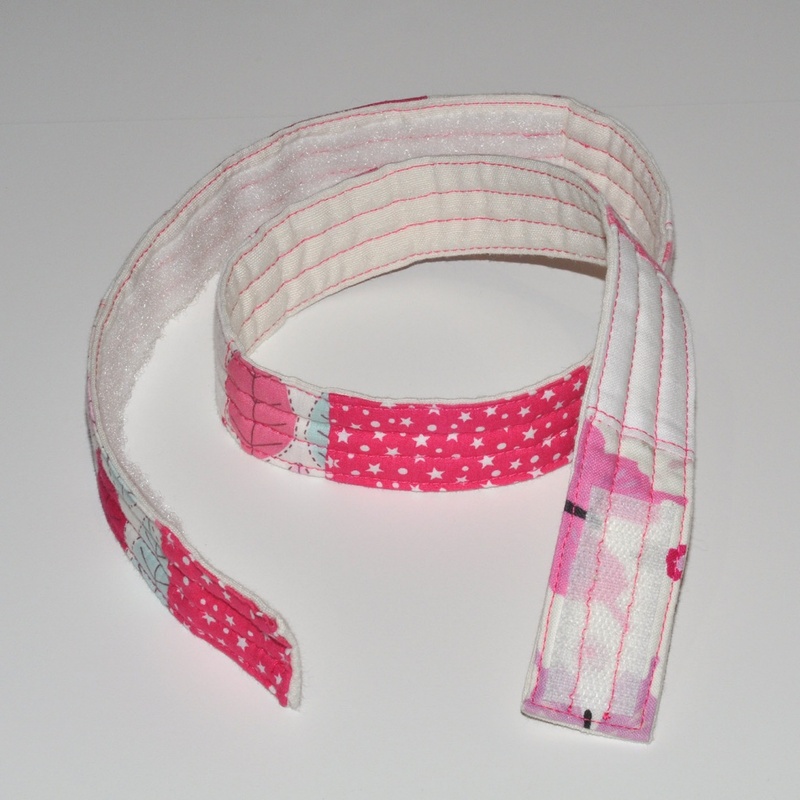 Children’s belt: 3 cm x 75 – 80 cm. Adult belt: 4 cm x 100 – 120 cm. 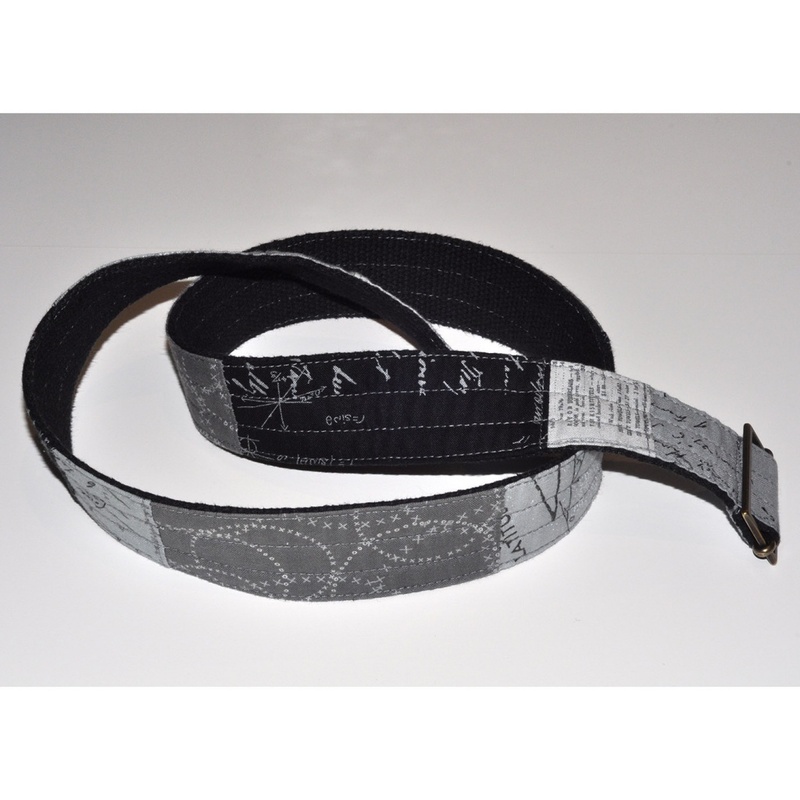 Children’s belt: 5 cm (3 cm + 2 cm for bending) x 75 – 80 cm. Adult belt: 6 cm (4 cm + 2 cm for bending) x 100 – 120 cm. The interior and the back can be replaced by a tape of the width of the belt. It can be made of cotton or synthetic, and the thicker the more consistency will give it to you, but think that you should sew it with the machine. In this way the elaboration esaryer and faster. It is important to wash the fabrics before beginning! We do not want to be fades or shrink later when we wash the belt. You put some photos of the finished belts so that you have a reference of what I am talking about. Later on I will put pictures of each passage. We prepare the front. Put the pieces of fabric we have made before a good face with a good face and sew with the foot of patchwork at 1/4 “(about 0.65 cm). If you do not have this foot take a reference of the foot or the machine and sew parallel to the side of the fabric. We will unite the pieces together by combining them as we wish until they have the desired length. To each of the unions of the previous pieces we made a backstitch in a part of about 3 mm from the union between fabrics to give consistency to the belt. Always you have to make them in the same part of the union, right or left, and bend the leftover pieces of the union to the same part so that they are stuck with this backstitch. Fold 1 cm inwards, with the iron, the sidewalks of the previously elaborated part. Place the wadding centered on the inside of the fabric that we want to put in the bottom part. We will have 1 cm of cloth around the wadding. Fold this centimeter to the inside, ironing. If you put tape instead of fabric, this step is not necessary. Join the parts. We put the front part over the wadding+ fabric/tape of the back part and we make a backstitch to unite the parts as close as possible to the sidewalk around the belt. In order to do this, I usually use the walkingfoot, since the thickness to sew is considerable. We make some inner backstitch, as quilting, so that the parts of the belt are more attached. 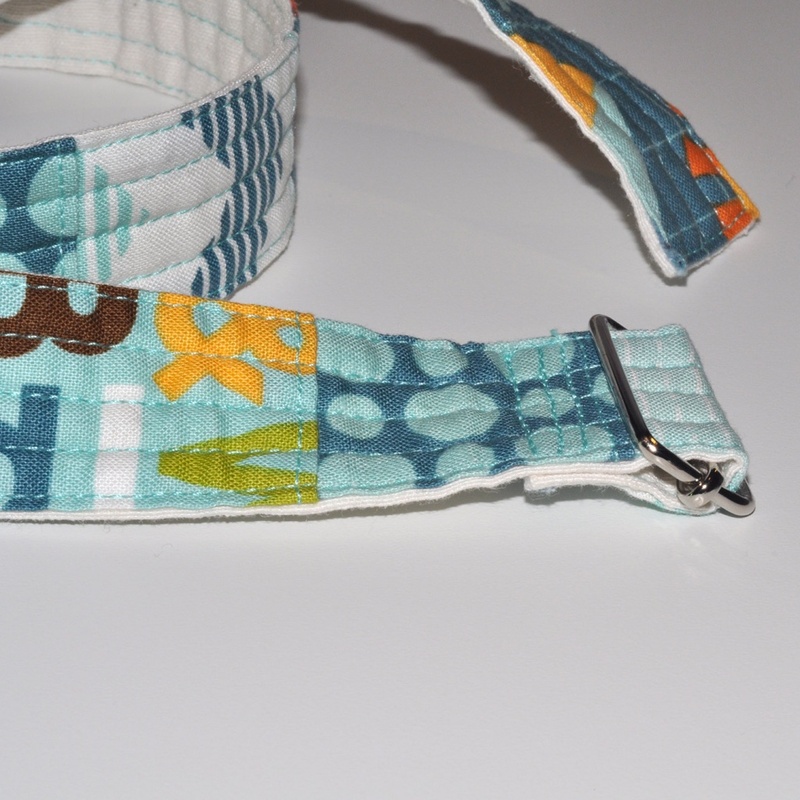 They can be straight lines along the belt or a free motion quilting. If you want to put velcro instead of a buckle, in the previous step place a small velcro (about 4-5 cm) (the most rugged part) to a head of the belt on the front and in the other head of the belt put a longer trench (about 15 cm) of velcro (the softest part) on the back of the belt. Place the buckle on one of the heads of the belt if velcro is not placed. And we have it finished! I hope this tutorial is useful and for any question please contact me!